Yoga helps children learn how to focus, relax, and both self-monitor and self-soothe Good Morning Yoga instills these four skills and more, enabling children to jumpstart the day with energy and excitement - and meet the adventures that come with mindfulness and perspective. Good Night Yoga tells the story of the world retiring for the evening - and a new generation of readers has fallen in love with the relaxing sequences and beautiful pictures that lead them to dreamland. 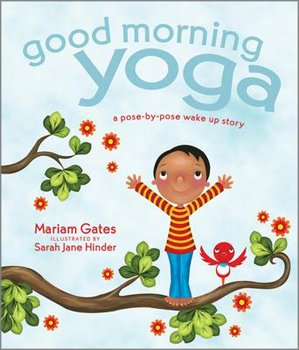 Good Morning Yoga weaves gentle exercises with a heartwarming narrative and wonderful illustrations to empower children to manage the energies that visit throughout the day - from the "fiery volcano" to the "mountain quiet and still". Good Morning Yoga concludes with a visualization for kids to set intentions for the day. Audience: Ages 4-8.